DR. C. RAVIVARMAN CHELLIAH, M.D.S. Clinical Head and consultant at PS Dental centers – a chain of dental clinics, ECR branch from as a clinic head of ECR branch I have brought a lot of developments and revenue to the clinic in an ethical way of practice. During my tenure as a Prosthodontist Consultant, I have treated a lot of VIPs and celebrities. 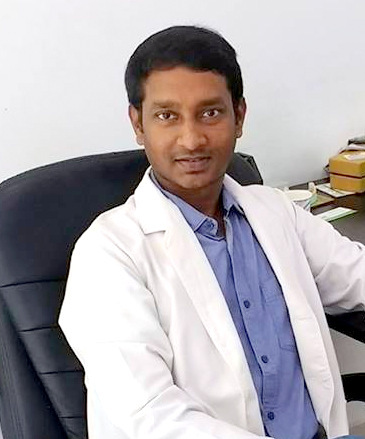 Resident Doctor at Apollo Dental centers for three and half years from I have worked in almost all of the branches of Apollo in Chennai under various experienced consultants and specialties. I am well-versed in treating patients who are partially edentulous with removable prostheses such as cast partial dentures and acrylic RPDs and fixed prosthesis such as Crowns, Bridges and implant supported fixed prosthesis. For completely edentulous patients, I am experienced in providing complete dentures and implant retained over dentures. During my tenure as a Post Graduate, I constantly involved in seminars and journal clubs regularly held in the department. It helped me develop my presentation skill which was the reason for the Prizes and Award I won in the National and International Conferences. Hi Dr. I am from South Africa, I have upper and lower dentures that move when I eat and talk. I like to have permanent dentures. I have seen a Cosmetic Dentist here, who told me that I need. More bone in my lower jaw, which I understand as I am 65 years old and retired. Dr I will be coming to Mauritius in June, July. I will be there for 3weeks,and after ready about your expertise I would appreciate if you will help me. Thank you. Sir I already have a crown in front for 4 teeth but if to replace is it advisable because it is a bit loose now. please I want to know the cost n will it be a crown or can replace coz many years now since I have this one. Thank you for your interest in our services. We advise you to see the dentist. After the proper assessment the dentist will tell you if it is possible to fix your old crowns( if yes, we will do it) or better to redo them. We fabricate crowns in our own Dental Laboratory based in Floreal.So we can fix your smile over few days. You can contact us on 6987998 for more information and an appointment. I have lost my right central and right lateral since +-15 years. Now i would like to have implant tooth. My questions: 1. how long it will take if you may go ahead and 2. how much it will costs approximately? Dear Mr. T. Morel, please check your email inbox.